Anyone who has read Anna Karenina knows the famous line: all happy families are alike; unhappy families are all unhappy in their own way. For birds, this is not true. Family conflict in birds is generalizable. You might expect, from this, that Mom and Dad are likely to come into conflict, and you’re right. Sexual conflict over parental care happens because Mom and Dad get their fitness benefit as long as the chicks survive, regardless of how much work they personally do; so both Mom and Dad would really prefer if the other parent did all the caring for the chicks (which takes time and energy and can be dangerous) while Mom/Dad relaxes, or maybe has even more chicks with someone else. This can result in a sort of parenting-as-a-game-of-chicken phenomenon, where each parent tries to do the absolute minimum that they can without killing the chicks, in the hopes of goading the other parent into compensating and providing more parental care. It’s definitely your turn to feed the chicks. Parent-offspring conflict happens because each parent shares just half of their genes with each chick. That means that while Junior’s highest priority is his own well-being, his parents’ highest priority is the cumulative well-being of all of their chicks—including chicks that they might potentially have in the future! If you have ever seen fledgling birds begging for food from a parent who ignores them, you’ve seen parent-offspring conflict. Fledglings do best when their parents continue to feed them for a long time. 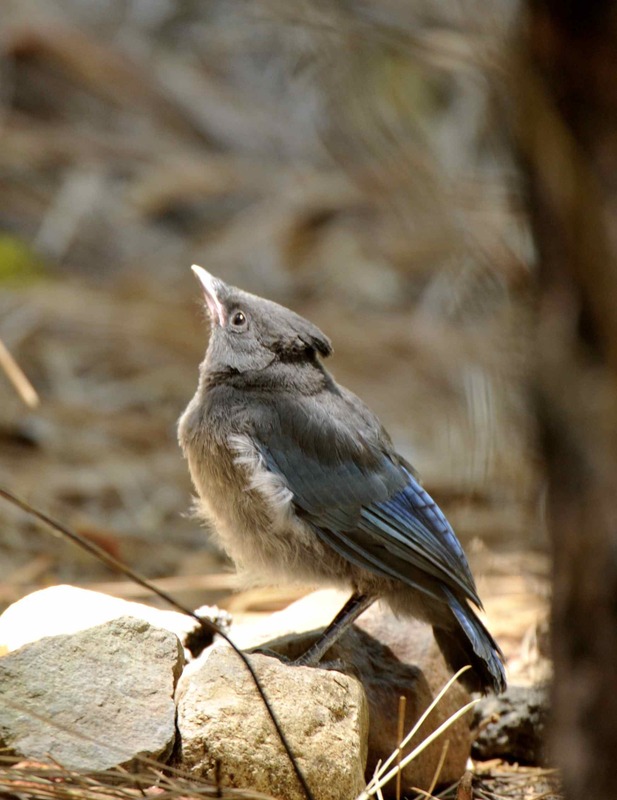 In many species, however, parents can have multiple broods per season, so parents want to stop feeding their fledglings early so that they can start that second brood. 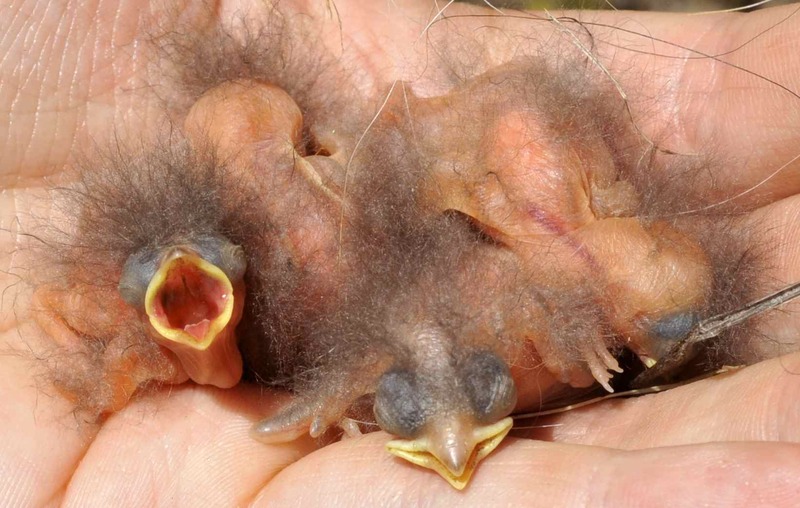 You can do math with this, if you’re so inclined: say an additional week of parental care increases each fledgling’s survival chances from 60% to 70%. Starting the second brood a week earlier, however, increases that brood’s chances of survival from 33% to 50%. For parents with four fledglings, and a potential second brood of three chicks, what should they do? Solution: If the parents care for the fledglings for an additional week, they will end the season with (0.7 * 4)+(0.33 * 3) = 3.8 chicks. If they don’t, they will end the season with (0.6 * 4)+(0.5 * 3) = 3.9 chicks. So, ceasing to care for the fledglings early is better for the parents, even though it’s worse for the fledglings. Sibling-sibling competition arises because siblings share, on average, just one-half of their genes with each other. So it is definitely in Sister’s best interest to promote her own well-being at the expense of Brother’s well-being, and vice versa. And since siblings generally share the same limited resources—their parents’ care—they end up competing with each other. Don’t feed anyone else, just feed me! Feed me ALL the foods! And this is just the beginning. Birds often cheat on their mates, so Dad may not share any genes with Junior. Some birds breed cooperatively, laying their eggs all in the same nest and not knowing which chicks are theirs. Some birds are polygynous, meaning that one male raises chicks with several females; a few birds are even polyandrous, meaning one female raises chicks with several males. One bird, the wonderful crazy Dunnock, can be monogamous (1 male + 1 female), polygynous, polyandrous, or polygynandrous (lots of males + lots of females all breeding with each other). All this makes things very complicated—which is good for us behavioral ecologists who get to study it! This entry was posted in general science-y stuff, miscellaneous and tagged birds, conflict, fledglings, parental care, science, sibling competition by toughlittlebirds. Bookmark the permalink. I love all this bird info. It’s really nice to be able to integrate it with our own backyard observations. Thanks! I’m glad you like it! I love watching birds and thinking, “So maybe that’s why they do that…” Thanks for reading! Very educational! Enjoyed reading this article. Mockingbirds are all around right now and squawking at the Hawks near by. Even hitting them. However, the Hawks also have a nest close by so it’s been an eye-opener to say the least. I will keep a lookout for the fledglings should I need to intervene. Thank you for a tremendous read! Wow, you have quite another kind of conflict on your hands! That should be very interesting to watch. very much interesting info. bt i want more info about the fledging of Indian koel. i have a egg of indian koel which given by the koel at road and after that she flew away. so i protect it and make a nest for egg. bt i want more information about it so i can save the life. I have 3 Robin fledglings in my yard. I watched them from egg till hatching till fledgling. All the way through. They are sweet and friendly!! Their parents are friendly too!! I have to keep my 2 cats in the house until the fledglings are stronger. I can’t risk anything happening to them. They’re my pets now. Their nest was at my front door!!! That’s wonderful! You’re doing them a great service by keeping your cats inside – probably literally saving their lives. Several things! If you have cats or dogs that hang out in the area of the nest, keeping them away from that area as long as possible will make a huge difference. New fledglings are quite awkward, and are incredibly tempting targets for dogs and cats. 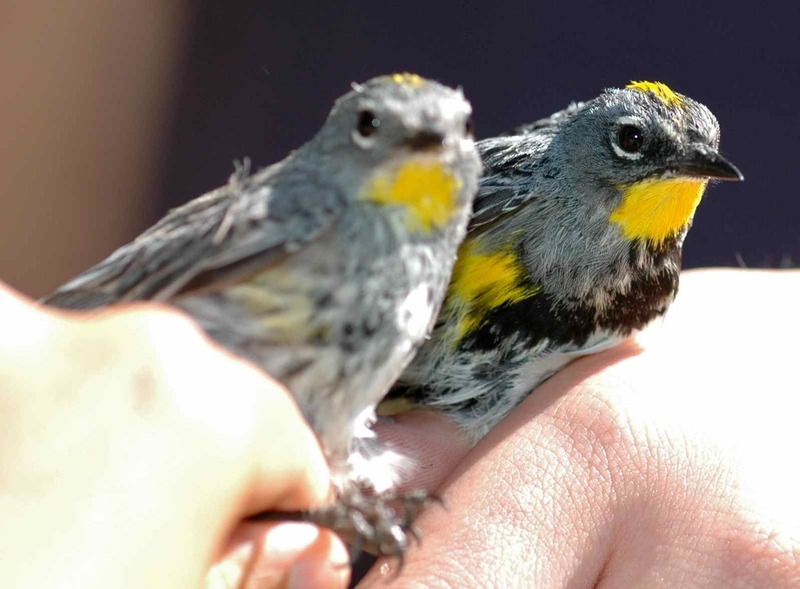 If they survive the first few days out of the nest, they generally get sufficiently adept at flight to evade our pets – but those first few days are perilous. If you have areas that a fledgling could get trapped, like an open trash can or a sunken walkway with steep walls, consider either covering them or making a ramp out of a board. New fledglings can usually fly a little bit, but not straight up, so they can get trapped by sheer walls. Finally, just try to give them their space. You’ll probably see the parents foraging, and maybe the fledglings cheeping too – just try to resist the urge to go really close to look at them. It’s fine to watch them from afar, but it can be tempting to go up for a close look, and you can end up chasing the birds. Fledglings especially may look like they can’t fly – you approach and they huddle down, and you think “Oh no, little buddy, are you okay?” – and then suddenly they’re off in a frantic rush and end up somewhere that isn’t such a good place for them to be. There is a fledgling mockingbird who has continued to be fed by its father for 4 weeks now. It was capable of flying a month ago and now flies perfectly. The parent bird looks terrible. Its very thin and loosing all of its fethers. The fledgling is fat, flies and seems to have lost its baby beak. But it still squeals to be fed. I think the parent of a previous nest in my yard which lost all 3 of their chicks, who fell out of their nest.Im pretty sure my cat ate 2 of them. Anyway when this happened the father Sat in a tree in my back yard for about an hour making a low chirp sound. I thought it sounded sad. When I went to the side of the house where the nest was, I saw the last baby dead on the ground. Im worried about this father bird who has been feeding this fledgling for so long. He looks terrible and weak. Well, has any else seen this situation? Any ideas about savi g the parent? I’m sure this chick is perfectly able to feed itself. Sounds like a dedicated parent! I don’t think you need to worry; it’s molting season right now, so adults tend to look scraggly and thin as their feathers fall out and are replaced. Babies just grew in their feathers a few months ago, so they molt only a few, if any, and look much better. Any apparent fat or thinness you can see in a bird from afar is a function of their feathers, not their actual body mass. I expect that your adult is just fine, and he will stop feeding his baby when it is best for both of them. If you can, perhaps next year consider keeping your cat indoors during bird breeding season, especially if you know there is a nest on your land. It sounds like you truly care about your bird neighbors, and protecting them from your cat could save their lives.